A building contract is an essential part of any construction process. It is a legally binding document that establishes the responsibilities of both the client and the builder and protects you in the case of mistakes or non-delivery. You sign a residential building contract once plans are finalised, a budget is locked in and you’ve decided on a builder. Beware if a builder uses their own ‘custom-made’ contract. Housing industry bodies including the Master Builders and Housing Industry Association (HIA) have standard contracts for their members to use, which protect both the builder and the homeowner. Their documents have been drafted by lawyers and updated over many years in accordance with legislation changes. Therefore, there are no excuses for builders to present contracts that don’t follow these templates. The two most common contract types are a Fixed Price Contract and a Cost Plus Contract. This option is for clients wanting a quote from a builder where the payment doesn’t depend on resources used or time. If you opt for this option, you must make sure everything has been included, or at least ensure there’s a provisional sum provided for unknown items. Finance companies prefer this type of contract if the client is financed and knows the price. Negatives arise if the client wants to make changes mid-process as this incurs variations to the price and results in administration costs. This is a flexible contract that can be set up in a variety of ways. This type of contract can receive a bad rap, mainly due to dishonest builders supplying an unrealistic budget and/or charging retail rates for supplied items. However, in good hands, this is a very flexible and workable way to build. Most finance companies will not finance on this type of contract. of contract to work well, you will need to be in regular close contact with the builder and he will need your constant feedback. Some clients love being involved at this level, however if you don’t, I wouldn’t recommend selecting this type of contract. Project management: This is when the builder has a fixed price for his services, which should include all supervision, organising trades and materials, administration and overheads attributable to the construction. Your builder will need to do an accurate estimation of costs and supply you with updated figures along the way so you can see if you are ahead or behind budget. I find many clients, when presented with options of upgrades and the difference between the options, inevitably upgrade and go over budget. This is fine as long as you are made aware when expected costs for that item or trade have been exceeded. Your builder should provide all supporting invoices to show you are paying trade prices (i.e. what the builder gets it for). 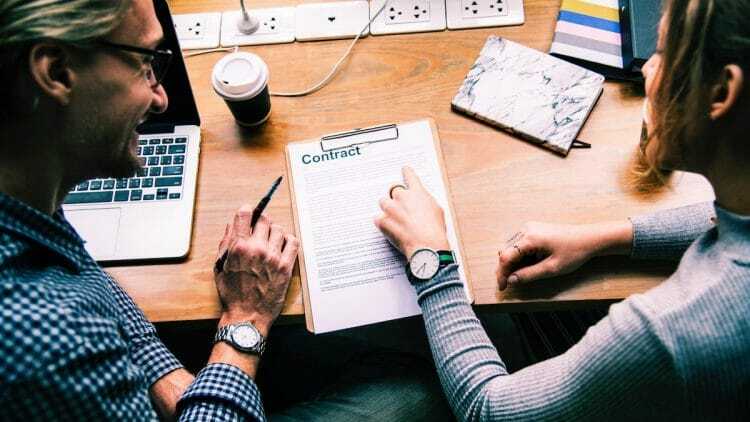 When signing a residential building contract, it is essential that you take the time to understand exactly what is included in your agreement – and what is it. Before signing on the dotted line, you must check to see what you are responsible for and know exactly what the impacts will be, as this could be quite costly and quickly cut into budget contingency funds. Removal of leftover soil from excavations may be excluded from the contract and this process can be very costly. Retaining walls are often excluded from the list of builder’s responsibilities, which can leave you underfunded with very little access to build the retaining wall. Inclusions such as floor coverings, light fittings, bathroom accessories, paths and driveways (things you would consider mandatory) are often forgotten. Fencing and gates are often omitted from contracts but need consideration. Site cleaning is a must for most diligent builders but can catch out the unwary client, which means a sizeable wastage and truck hire bill. Landscaping is sometimes an assumed inclusion with a new home, but you need to double check this and have a contingency sum. The team at Smartbuild can chat through the different types of contracts on offer for your building journey. Get in touch today to see how we can help!